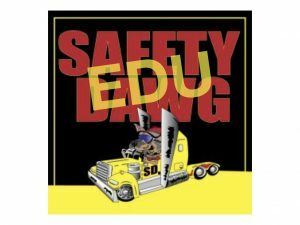 Safety Dawg EDU-cation - Safety Dawg Inc.
CVOR Level II: What Is It Trying To Tell You? This course discusses how to read and understand your Level II CVOR. It goes into detail of each section of the CVOR so that you understand how each part relates to the overall violation threshold.Collisions, Convictions, and Inspections all have factors that contribute to the Violation Threshold. You need to know how they interact. With the information, you can then determine the training requirements of the drivers.How does the Overall violation rate affect your Carrier Rating? You will also learn about MTO Interventions and when they may happen. "CVOR Level II, What You Didn't Know" is a step by step program. Each module builds upon each other. All will enhance your Companies image with shippers, the public and the insurance industry.